One of the common questions i get asked is, “How do i adopt Apex Enterprise Patterns within an existing code base?“. Often its also folks who have not owned the code base from the start and are inheriting it. Your also not likely to be blessed with a empty cheque of time to sort the code out before your asked to start adding new features or fixing issues. So how do you find time to crack open an old code base and start introducing Separation of Concerns? Tip 1. Pick and choose and go incrementally! You can pick and choose what layer you want to work on first and incrementally split out further. For example Service layer implementations don’t have to use Unit of Work, Domain or Selector initially. Typically I find the Service layer the most value add to get in place first. Going incrementally over a few release iterations perhaps, across the tips below can help you and your team walk before you start to run with the patterns and gain confidence and support across the team in the approach. Tip 2. Get a basic Service layer going. Even if you don’t adopt any other aspect, try to look for opportunities to move code from controllers, batch classes etc into a service layer. Remember that technically it is essentially a class ending in Service with some static methods in it, its the meaning and responsibility of it thats important here. If you don’t have time to follow all the conventions such as bulkification don’t worry, by moving it a Service you’ve already made a big step! For sure however, don’t apply global to your service until your happy with it’s methods. Tip 3. Sweeping out inlined SOQL. Again if your not ready to use the base classes in the library here, just start naming classes with the Selector suffix and re-home your code performing SOQL into methods on that class. You won’t get all the benefits of consistency, but you will start getting those from reuse and encapsulation. That said the Selector pattern does not really need you to have other things setup so do consider extending the base class where you can, doing for some Selectors and not others is also fine if some are a bigger challenge. Ti p 4. Moving your Trigger code into Domain class. The Domain class does support all the Apex Trigger events, and has several overrides to invoke code that applies to multiple events. So you should be able to find a home for your trigger code amongst the various overrides given by the base class. If you have got some recursive stuff going on you’ll want to look at the Statefull configuration in the Domain class. You may want to start with this one over tips 2 and 3 if your code is heavily Apex Trigger driven, it often the best way to show other developers the value as well, as the code starts to become more OO and more factored for typically little risk so long as you have good Apex tests in place. Finally developers familiar with so called Wrapper Patterns elsewhere in the community should warm to this pattern more quickly. Tip 5. Adding Application Factory and Mocking support Incrementally. This is possibly easier to add in areas of the solution where most of the patterns are starting to fall into place so don’t rush into adding this to soon. Separation of Concerns is key to making mocking work. So don’t try to introduce this to soon if you’ve not got things factored out well enough. That said, you may find adding support just for mocking the Service layer gives you some initial boosts in writing tests around controllers and batches classes and the like. The Unit of Work does not need to be fully configured either, its fine to have only have a subset of your objects representative of the areas its used in. So there you have it, some food for thought, i’m interested to know of approaches and processes others have ended up taking and if there is any neat short cuts or evening tooling options perhaps? Categories: Apex, Best Practice, Design Patterns | Permalink. 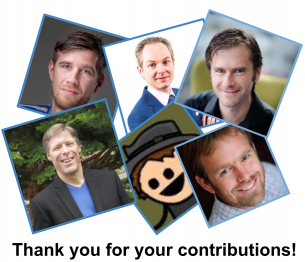 Great Contributions to Apex Enterprise Patterns! Unit of Work, register Method flexibility. The initial implementation of Unit Of Work used a List to contain the records registered with it. This ment that in some cases if the code path registered the same record twice an error would occur. This change means you don’t have to worry about this and if complex code paths happen to register the same record again, it will be handled without error.Thanks to: Thomas Fuda for this enhancement! Unit of Work, customisable DML implementation via IDML interface. This improvement allows you to implement the IDML interface to implement your own calls to the platforms DML methods. The use case that prompted this enhancement was to allow for fine grained control using the Database methods that permit options such as all or nothing control (the default being all).Thanks to: David Esposito for this enhancement! This enhancement provides the ability to leverage the factory but have it provide Unit of Work instances configured using a specific set of SObjectType’s and not the default one. In cases where you have only a few objects to register, perhaps dynamically or those different from the default Application set for a specific use case. Please read the comments for this method for more details.Thanks to: John Davis for this enhancement! New virtual methods have been added to the Unit of Work class, allowing those that want to subclass it, to hook special handling code to be executed during commitWork. This allows you to extend in very custom way your application or services own work to be done at various stages, start, end and during the DML operations. For example common validation that can only occur once everything has been written but not before the request ends.Thanks to: John Davis for this enhancement! Its now possible to register lists of SObject’s with the Unit of Work in one method call rather than one per call. 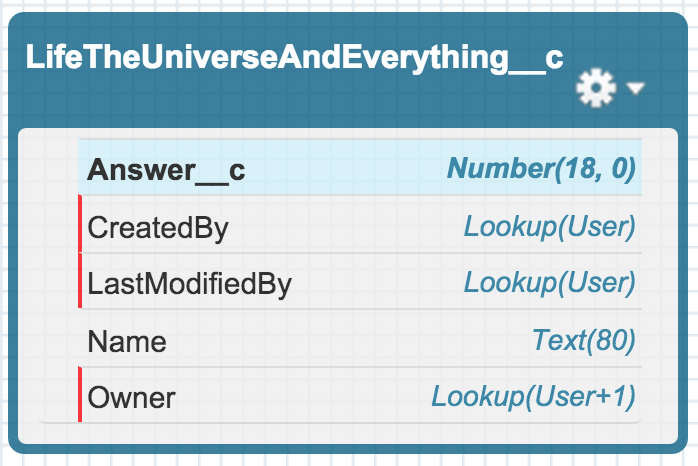 While the Unit of Work has always been internally bulkified, this enhancement helps callers who are dealing with lists or maps interact with the Unit Of Work more easily.Thanks to: MayTheSForceBeWithYou (now a FinancialForce employee) for this enhancement! Not all Standard objects have a Name field, this excellent enhancement helped ensure that if this was the case the base class would look for the next best thing to sequence your records against by default. Alex has also made numerous other tweaks to the Selector layer in addition to this btw!Thanks to: Alex Tennant for this enhancement! In addition to the above there has been numerous behind the scenes improvements to library as well, making it more stable, support various non standard aspects of standard objects and such like. I based the above on GitHub’s report of commits to the repository here. This discussion from john-m, was prompted by Force.com MVP Matt Lacey, who is thinking about the footprint of the library and making it more accessible to smaller consulting based code bases. Join the conversation here! This limitation doesn’t come up often, but for complex situations is causing fans of the UOW some pain having to leave it behind when it does. This is the long standing request by Seth Stone, but has seen a few attempts since via Alex Tennant and more recently some upcoming efforts by john-m in the pipeline. Watch this space! Another Force.com MVP, Daniel Hoechst, suggested this feature, inspired from those present in other trigger frameworks, join the conversation here. This idea raised by our good friends over at BigAssForce, is seeing some recent interest for contribution by Autobat, see here for more discussion. Thank you one and all for being social and contributing to a growing community around this library! Where to place Validation code in an Apex Trigger? Quite often when i answer questions on Salesforce StackExchange they prompt me to consider future blog posts. This question has been sat on my blog list for a while and i’m finally going to tackle the ‘performing validation in the after‘ comment in this short blog post, so here goes! // Make sure if there is an answer given its always 42! The following test method asserts that a valid value has been written to the database. In reality you would also have tests that assert invalid values are rejected, though the test method below will suffice for this blog. // Is the answer still the same, surely nobody could have changed it right? This all works perfectly so far! What harm can a second Apex Trigger do? Once developed Apex Triggers are either deployed into a Production org or packaged within an AppExchange package which is then installed. In the later case such Apex Triggers cannot be changed. The consideration being raised here arises if a second Apex Trigger is created on the object. There can be a few reasons for this, especially if the existing Apex Trigger is managed and cannot be modified or a developer simply chooses to add another Apex Trigger. So what harm can a second Apex Trigger on the same object really cause? Well, like the first Apex Trigger it has the ability to change field values as well as validate them. As per the additional considerations at the bottom of the Salesforce trigger invocation documentation, Apex Triggers are not guaranteed to fire in any order. So what would happen if we add a second trigger like the one below which attempts to modify the answer to an invalid value? // I insist that the answer is actually 43! At time of writing in my org, it appears that this new trigger (despite its name) is actually being run by the platform before my first validation trigger. Thus since the validation code gets executed after this new trigger changes the value we can see the validation is still catching it. So while thats technically not what this test method was testing, it shows for the purposes of this blog that the validation is still working, phew! So while all seems well up until this point, remember that we cannot guarantee that Salesforce will always run our validation trigger last. What if ours validation trigger ran first? Since we cannot determine the order of invocation of triggers, what we can do to illustrate the effects of this is simply switch the code in the two examples triggers like this so. // Make if there is an answer given its always 42! Having effectively emulated the platform running the two triggers in a different order, validation trigger first, then the field modify trigger second. Our test asserts are now showing the validation logic in this scenario failed to do its job and invalid data reached the database, not good! So whats the solution to making my triggers bullet proof? So what is the solution to avoiding this, well its pretty simple really, move your logic into the after phase. Even though the triggers may still fire in different orders, one thing is certain. Nothing and i mean nothing, can change in the after phase of a trigger execution, meaning you can reliably check the field values without fear of them changing later! Thus with this change in place, even though the second trigger fires afterwards and attempts to change the value an inserted to 43, the first trigger validation still prevents records being inserted to the database, success! This approach is actually referenced in a few Trigger frameworks such as Tony Scott’s ‘Trigger Pattern for Tidy, Streamlined, Bulkified Triggers‘ and the Apex Enterprise Patterns Domain pattern. One downside here is that for error scenarios the record is executing potentially much more platform features (for workflow and other processes) before your validation eventually stops proceedings and asks for the platform to roll everything back. That said, error scenarios, once users learn your system are hopefully less frequent use cases. So if you feel scenario described above is likely to occur (particularly if your developing a managed package where its likely subscriber developers will add triggers), you should seriously consider leveraging the after phase of triggers for validation. Note this also applies with the update and delete events in triggers. Categories: Apex, Best Practice, Design Patterns, Force.com, Testing | Permalink.